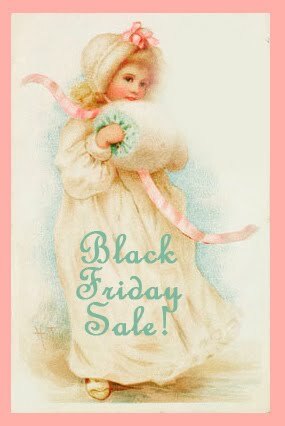 For those of you who have decided to stay home today instead of fighting all the crowds at the stores and shopping malls, there is a sale going on in my shop TODAY ONLY! Save 15% on everything in my shop until Midnight (cst) tonight (11/26/10). Just enter the Coupon Code: BLACKFRIDAY15 when you get to the checkout to receive your savings!